Quick update regarding my progress on Drawing on the Right Side of the Brain. The chapter I’m on (6) talked about edges, and it taught a technique called Contour Drawing, which encouraged focusing on capturing the details of a subject by never taking your eyes off it. Not even to look at what you’re drawing. That was fairly mind boggling, and I’m not sure if it did anything for me, but I hope it did. 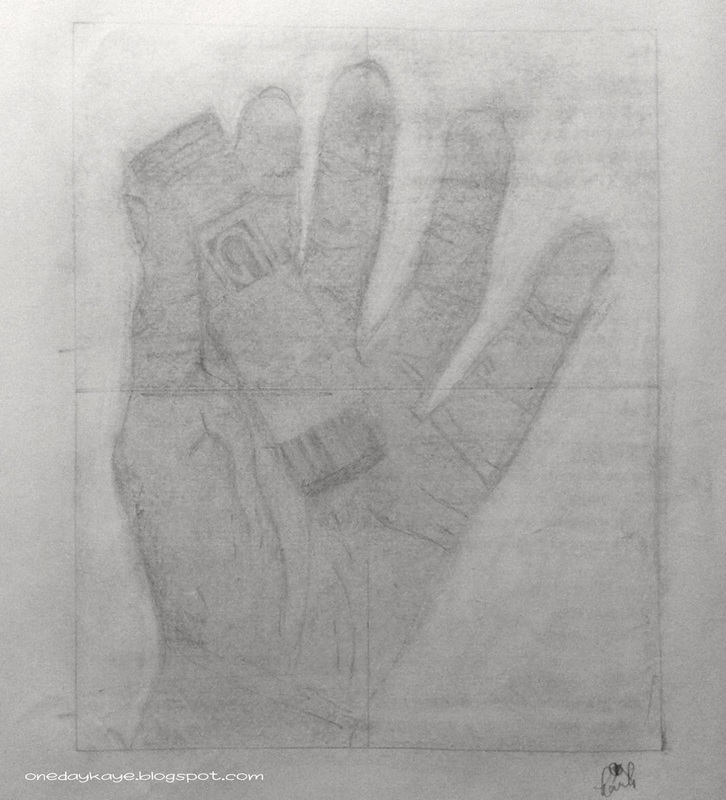 I just finished a section that introduced the concept of a picture plane, an imaginary “window” artists look through; a perspective that allows you to copy the 3 dimensional world onto a 2 dimensional surface through drawing. Two artists, Brunelleschi and Alberti, were first in history to have recorded speaking of it, but Holbein and Van Gogh also employed it in their work. Since I’m not an artist (yet,) my teacher (aka the author) instructed me to create a picture plane, to help with the visual effect of foreshortening. I didn’t have all the materials that the first chapter required me to gather; so I went to a craft shop this morning, bought a graphite stick, fibreglass pane, and the prescribed pencils, prepped the viewfinder and picture plane, and got to work on the exercises. It’s not the best, but I was pretty pleased that I came up with this (please refer to my first drawings to understand my amazement.) Either all the explanations and exercises have been very effective in changing the way I see (I’d like to think so,) or the combination of viewfinder + crosshairs + graphite stick are magical. I’d never understood how to shade before, but when I was instructed to “erase the highlights and darken the shadows,” this just happened. Things I learned from this activity include 1) smudging just enough when erasing an error (or no amount of rubbing will even out my toned ground) and 2) darkening the edges a little more. I’d never spent this much time and energy on trying to draw something realistic, and now I wonder if I’d been able to manage if I just did; but it just reinforces that time and patience are definitely important factors in this creation process.